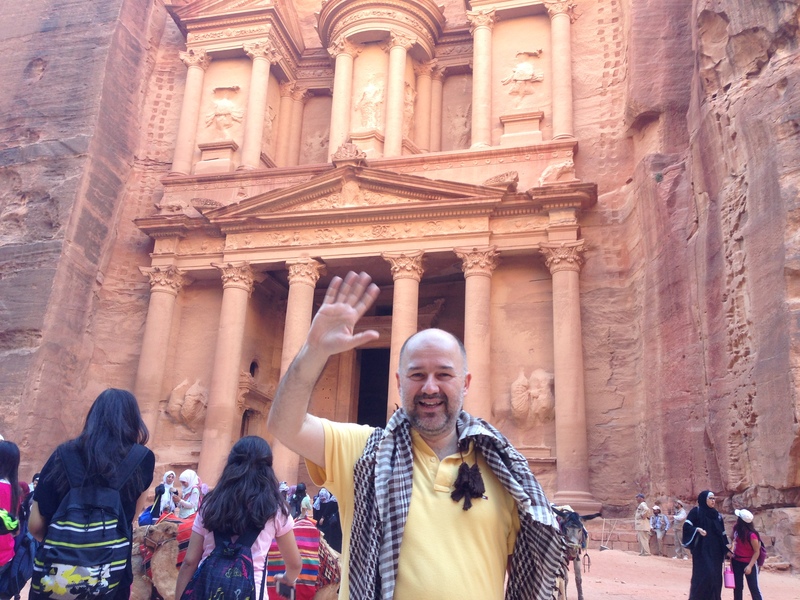 This was my first visit to Jordan, where Petra, one of the New 7 Wonders of the World, is located. You can also visit the Dead Sea, the deepest point in the world. I was in Amman on the 27th and 28th of April to moderate a panel on innovation, one of the 5 main sessions of the Small and Medium Enterprises (SMEs) Regional Conference organised by the Jordan Chamber of Commerce, where more than 500 entrepreneurs, policy makers and academicians from 20 countries of the Middle East and North Africa region (MENA) gathered. 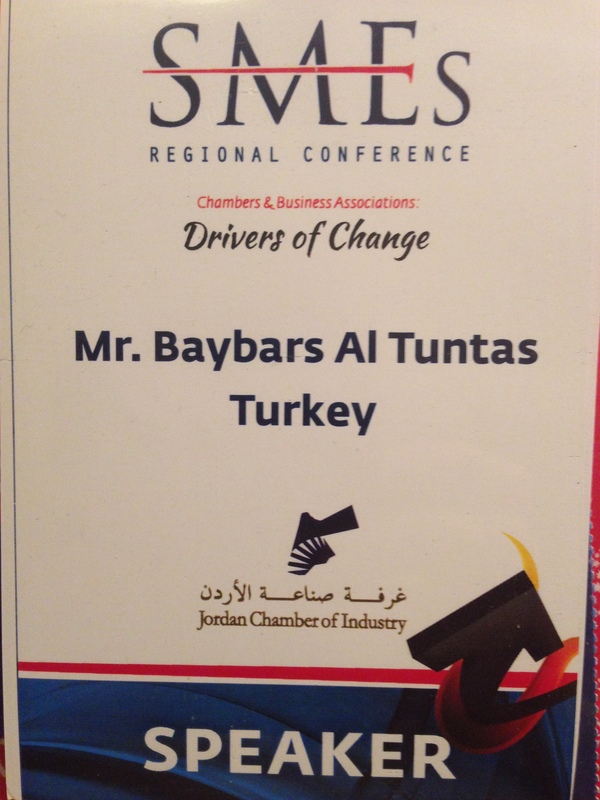 The theme of this first event of the region, Drivers of Change, reflected the aim of addressing the needs of the SMEs. 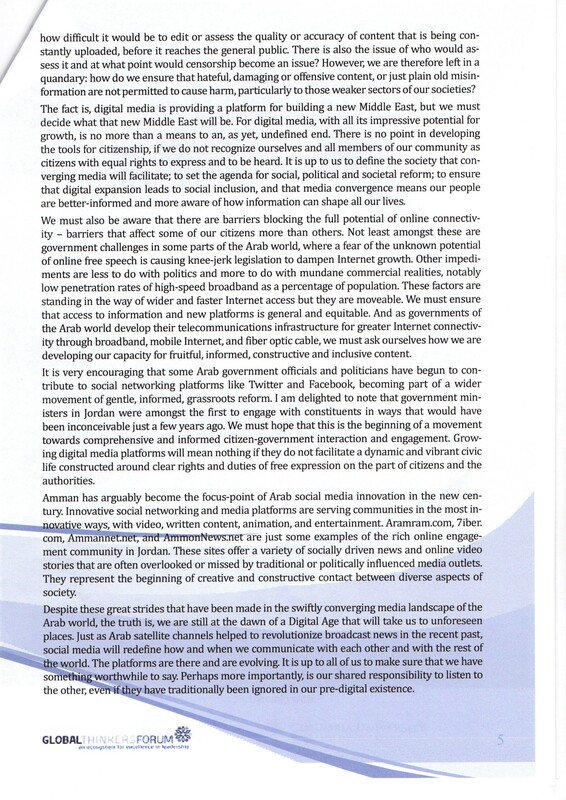 The Jordan Chamber of Industry (JCI) aspires to open a much needed dialogue about the strong role that has to be played by Chamber and Commerce Associations (CBAs) to support the engines of growth (SME’s) and prosperity in the MENA region. It was my mistake. I didn’t check the flight number on the boards of Ataturk Airport. I couldn’t guess that there would be 2 flights to Amman within a 15-minute period. I was in the Turkish Airlines Business Lounge, where there were no flight announcements. You have to check the boards to see the gate for your destination. It was 307. I left the lounge 30 minutes before departure time. But when l reached the gate, on time, l saw an announcement on the board that departure was delayed 45 minutes. I decided to wait at the coffee bar across from the gate. Then a second announcement came: 1 hour and 15 minutes delayed, and then a third one — 2 hours delayed. It was 10:30pm when they started boarding. 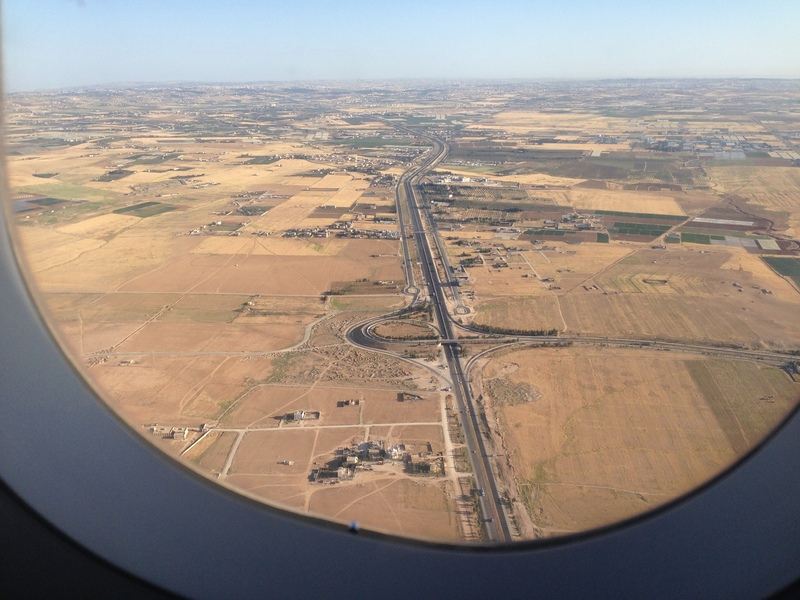 But I couldn’t believe what they told me—that I had missed my flight: this was another flight to Amman! I should have been at Gate 202 instead of Gate 307. Then they explained that there was actually a seat available on this flight but because it was a private flight for a delegation of the Economy Ministry, and the Economy Minister himself would be also on the flight, it would be impossible for me to fly. Thanks to my network, however, I got onto that flight to Amman after experiencing a little bit of stress. A transfer guide was waiting for me when I arrived in Amman at 2:30 am. It is a very welcoming airport with soft sandy colors throughout the terminal. Two people were waiting for me: One was the driver, and other was Mr. Mohammed. 30 minutes later I was at the Royal Hotel, the summit venue, where I would also stay. 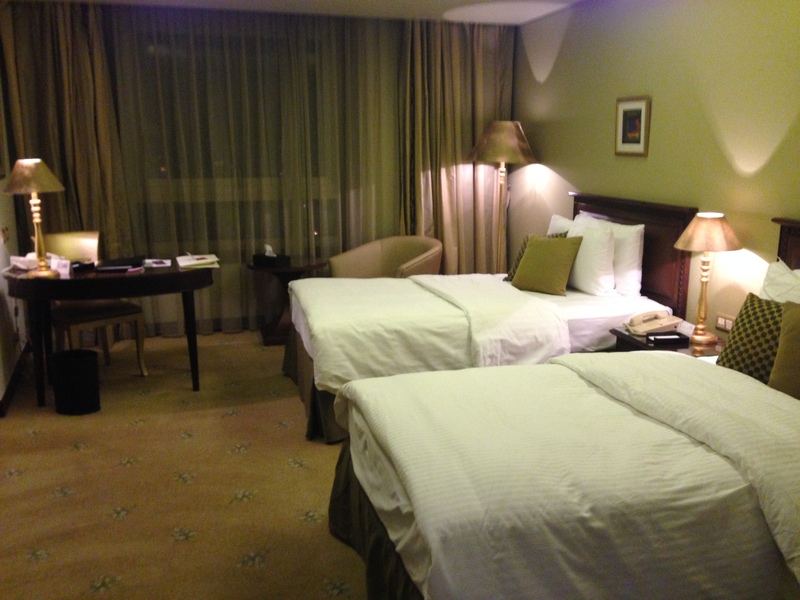 The Royal Hotel is the biggest 5-star hotel of Jordan, owned by an Iraqi investor. It was excellent. I enjoyed the room and the service. It is also central and within easy walking distance to almost everywhere I would need to go. Because the conference was to begin at 9:00am the next morning, l had to go to bed immediately since there were only 4 hours left for me to get some sleep. Because of the new pillows, however, I was able to sleep only 2 hours. 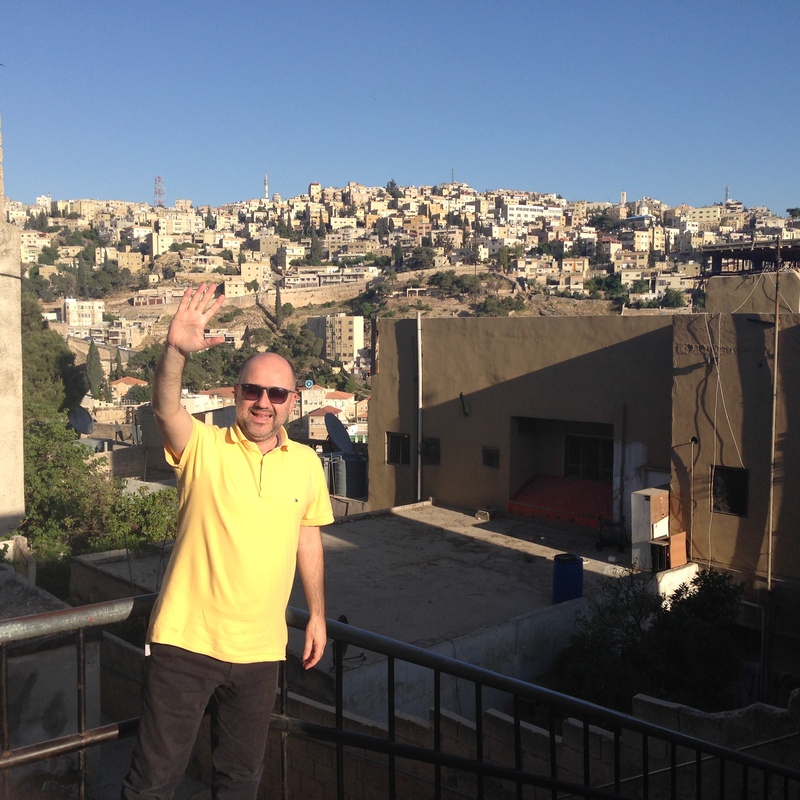 Amman is the capital and most populous city of the Hashemite Kingdom of Jordan. It is the country’s political, cultural and commercial centre and one of the oldest continuously inhabited cities in the world. The Greater Amman area has a population of 2,842,629 as of 2010. The recent economic growth experienced in Amman is unmatched by any other Arab city except those located in the Arabian Gulf area. Amman is also the administrative seat of the homonymous governorate. Amman is also ranked a Beta− city on the World city index. Amman was named one of the MENA‘s best cities according to economic, labour, environmental, and socio-cultural factors. Amman is among the most popular locations for multinational corporations to set up their regional offices, alongside Doha and only behind Dubai. Furthermore, it is expected that in the next 10 years these three cities will capture the largest share of multinational corporation activity in the region. It is a major tourist destination in the region and the capital is especially popular among Gulf tourists. Mr. Mohammed was waiting for me in the lobby. I generally don’t wear a tie at these events but I know the protocol traditions from Turkey, which are very similar to Arab ways, so I wore my tie. Mr. Mohammed took me to the person responsible for the welcoming of guests to the conference, and I learned that my chair was reserved in the second row. A few minutes later the Prime Minister of Jordan, the Economy Minister and many officials entered the room and the conference started exactly on time, which was a bit of a surprise for me. Following the opening speeches, there was a coffee break, where I had an opportunity to meet with speakers and participants from other countries. 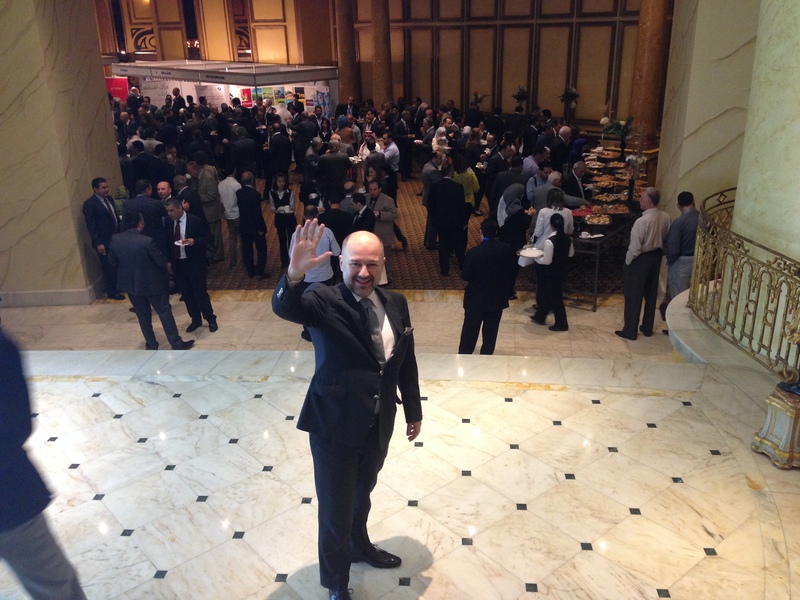 Diversity of participants is extremely valuable at such events and that was achieved at this conference. Congratulations! 2:30pm was lunchtime and the first day’s sessions ended just before that. I went to my room at 4:00pm to sleep a little bit. When I woke up, it was 8:00pm. I had to rush to the Gala Dinner, where I met with Amal of the Middle East Business Magazine at the same table. Amal is a really good role model for women’s entrepreneurship. She lives in Ramallah and started the magazine from scratch. At the Gala Dinner she was honored for her contribution to the conference. She also received an award as the woman entrepreneur of the year. I considered it my good luck to sit at the same table and to hear some insights about women’s entrepreneurship in the region. 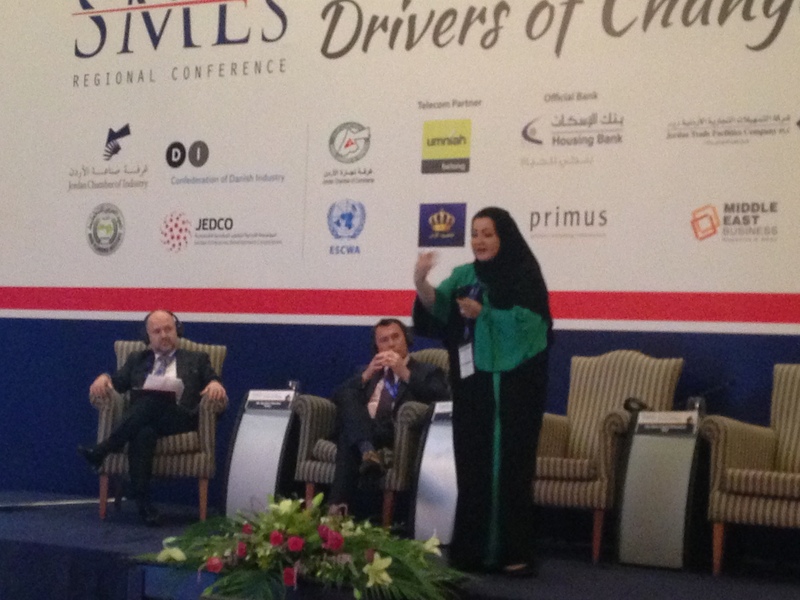 Then Noura, who was going to be in my panel session, phoned to say she had arrived at the venue. She joined our table. A few hours later, because it was so noisy in the dining room, we moved up to the lobby to discuss the details of the session that we would do the next day. 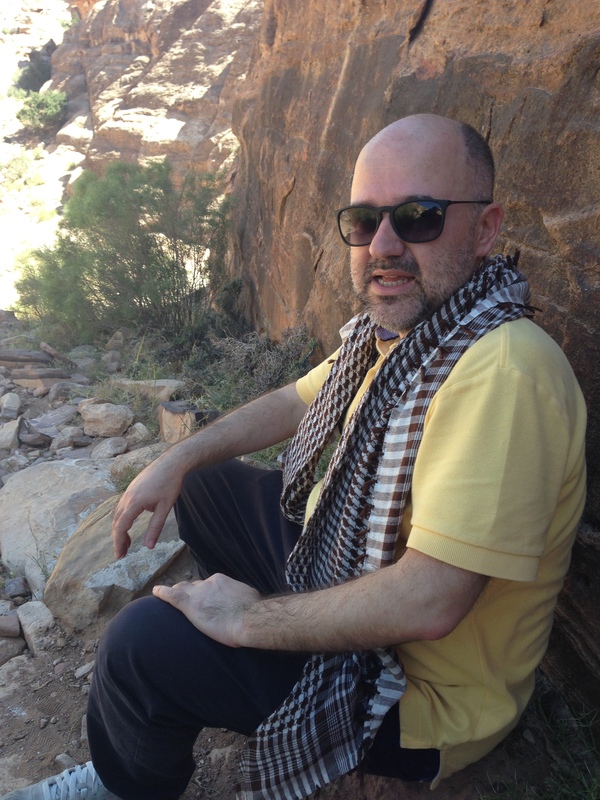 Before coming to Amman, l had sent an e-mail to cover the basics of our panel discussion. Having moderated a lot of panels, I developed a chart before the session and sent it to all the panel speakers so that we could optimize the time we had. It was 12:30am when I left the lobby to go to my room. It was 3:00am by the time I was ready to sleep. The importance of innovation for SMEs and how it can enhance their productivity and the quality of their products / services and, accordingly, positively impact SME development and growth. Moreover, SMEs have a responsibility to understand the impact of innovation on their work and the importance of investment in this arena. CBAs need to consider how they can spark SMEs innovation and facilitate the required change of mentality as well as product / service development processes, through strongly supporting entrepreneurship, innovation, and research and development activities. Likewise, CBAs themselves must change their approach in addressing SMEs issues and work to come up with a set of innovative solutions and services for SMEs. 1 The importance of innovation for SMEs and how it can enhance their productivity and the quality of their products / services and, accordingly, positively impact SME development and growth. Moreover, SMEs have a responsibility to understand the impact of innovation on their work and the importance of investment in this arena. 2 CBAs need to consider how they may spark SMEs innovation and facilitate the required change of mentality as well as product / service development processes, through strongly supporting entrepreneurship, innovation, and research and development activities. Likewise, CBAs themselves must change their approach in addressing SMEs issues and work to come up with a set of innovative solutions and services for SMEs. 3 SMEs need networking, know-how and mentorship. Not just finance. During the entrepreneurship journey of an SME, from scratch to IPO – from wannapreneurship stage to IPO and M&A stage; bootstrappers (family members, friends), crowdfunders, venture capitalists, banks, government grants, IPOs, and customers are the main sources of finance. But none of them can provide the needed networking, know-how and mentorship. So, the only source of finance is angel investors, who invest money + know-how + mentorship + network in SMEs and entrepreneurs. Thus, the introduction of the idea of an angel investment system to policymakers in the region will be a critical step in fostering the SME Ecosystem. On the other hand, it should be noted that an angel investment system is 100% compatible with the Islamic entrepreneurship ecosystem since there is no expectation of interest on the part of angel investors after they provide financing. The conference ended at 4:00pm. 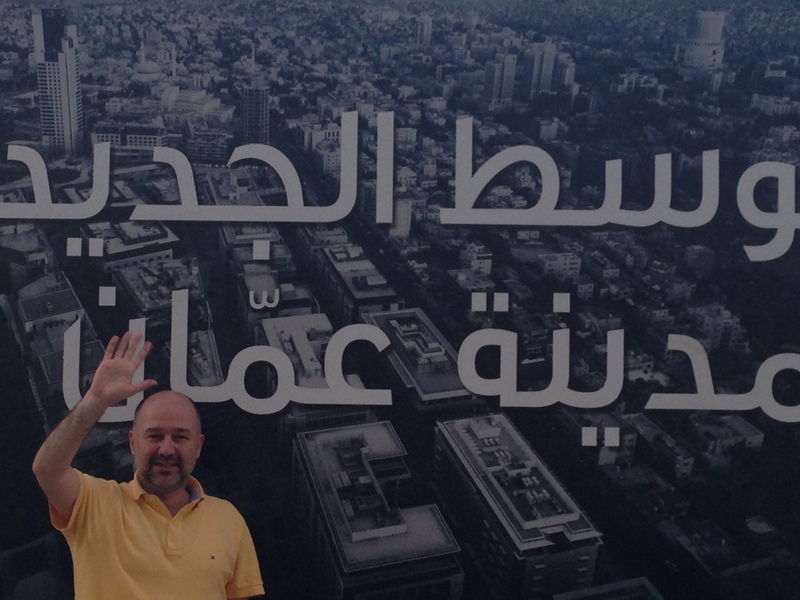 At 5:00pm, Baha, the advisor to the conference collected me from the hotel for a sightseeing tour of Amman. He is a true entrepreneur who is able to connect diverse issues to produce value. I enjoyed my time with him immensely. 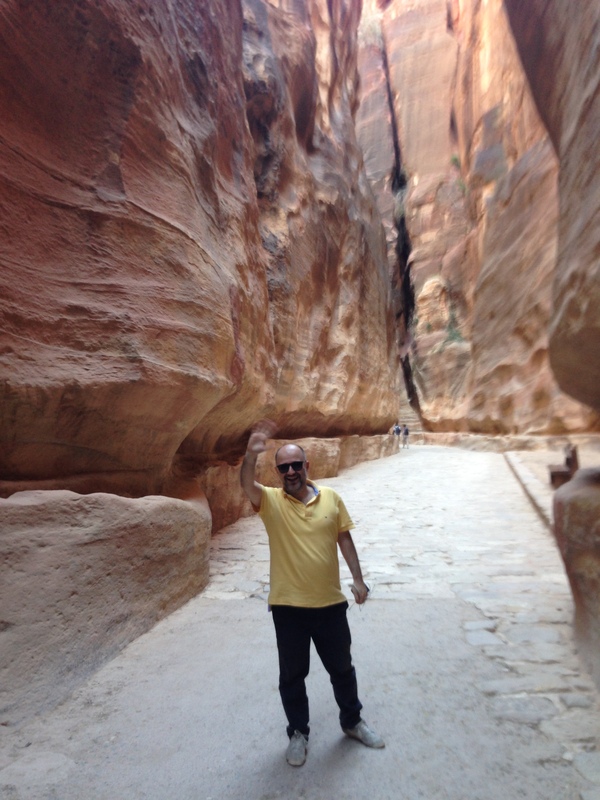 Because I was a big fan of the Indiana Jones series in my childhood, I chose the Petra tour. 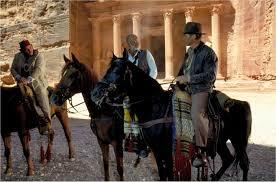 The Last Crusade of Indiana Jones was filmed in Petra. 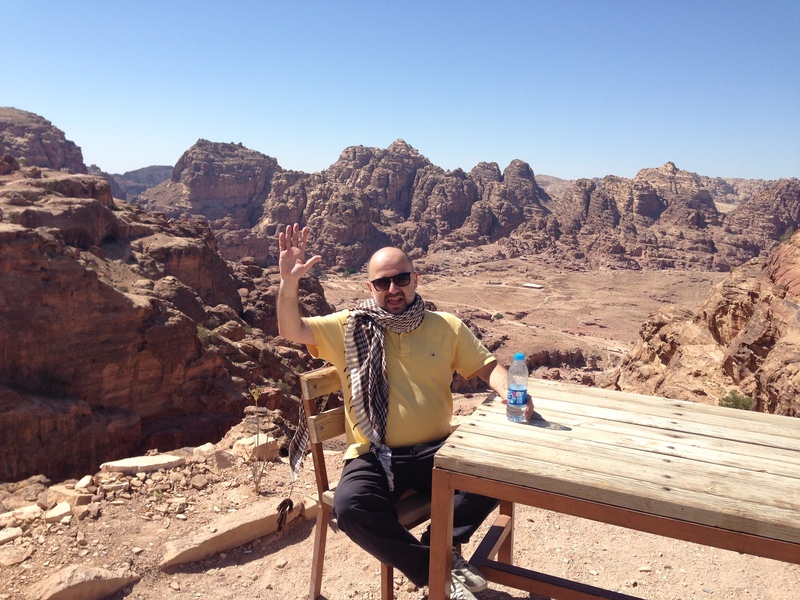 The regular car tour to Petra is 170 Dinar (200 USD) excluding entrance to Petra City (50 Dinar / 70 USD). But I hired a little bit better car (Forester – Voyager) because I knew good cars are very important on such excursions. By the way, in Amman, there are no regularly-scheduled tours. Hotels organise them on demand. So, it is a good idea to collect a few friends to share the costs. I couldn’t achieve this, but the driver, Sakir, was a good companion during the trip. 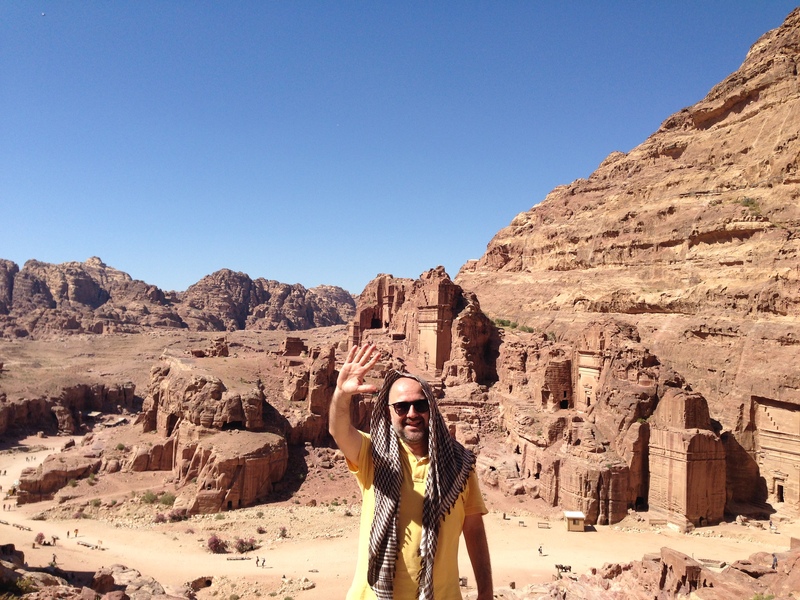 He picked me up at 9:30am and we were in Petra by 12:30pm. The road was OK and there were coffee shops on the way if you felt like stopping. A Movenpick Hotel is located just opposite the entrance of Petra City. If you have time, it may be a good idea to stay there for a couple of days, because Petra is so big that, to do a complete visit, you really need 2 days. Five hours is enough to visit the highlights, however. For 35 USD I hired a tourist guide to take me through the Indiana Jones way, which was not the itinerary that most tourists follow. Official guides are 70 USD, unofficial ones are 35 USD. It is your choice. Both provide the same service! At the entrance of the city, just after purchasing your ticket, you can hire horses to to the main square of the city. The marketing message was this: Guides will approach you and tell you that the ticket we buy from them also includes riding on the horse to the center of the city (3 kilometers away). But tips start from 10 USD J. The route I followed was the one Indiana Jones followed, but it is not an easy one. Expect to do a lot of climbing and if you are not fit, you need to be careful about your heart. It was a little bit difficult for me, even though I am a non-smoker. My itinerary ended where the standard itinerary starts. Children were selling postcards in the center and seeing them took me back to the days when I too was selling postcards to tourists coming to visit Blue Mosque in Istanbul. My house was a 15-minute bus ride to the Blue Mosque and I was not going to school on Tuesdays because there were no useful lessons according to my personal evaluation. 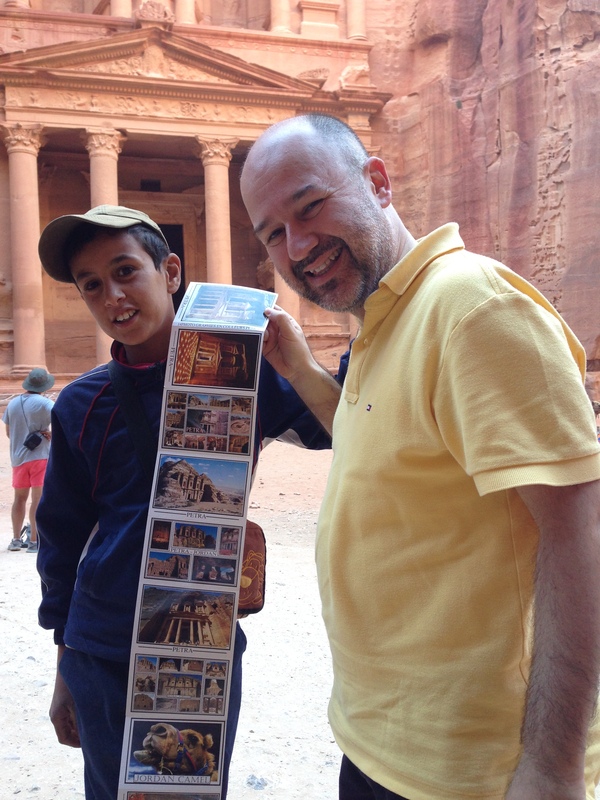 So I was going to the Blue Mosque area to sell postcards when I was 14, a little bit older than this boy in Petra. I was shouting ‘eine Mark’! He was shouting ‘one dinar’! So, what can you expect this boy to be in the future? Another name for Petra is the Rose City, due to the color of the stone out of which it is carved. Established possibly as early as 312 BCE as the capital city of the Nabataeans, it is a symbol of Jordan, as well as Jordan’s most-visited tourist attraction. It lies on the slope of Jebel al-Madhbah (identified by some as the biblical Mount Hor in a basin among the mountains which form the eastern flank of Arabah (Wadi Araba), the large valley running from the Dead Sea to the Gulf of Aqaba. Petra has been a UNESCO World Heritage Site since 1985. 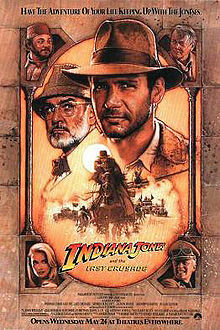 Indiana Jones and the Last Crusade is a 1989 American fantasy–adventure film directed by Steven Spielberg, from a story co-written by executive producer George Lucas. It is the third installment in the Indiana Jones franchise. Harrison Ford reprises the title role and Sean Connery plays Indiana’s father, Henry Jones, Sr. Other cast members such as Alison Doody, Denholm Elliott, Julian Glover, River Phoenix, and John Rhys-Davies also have featured roles. 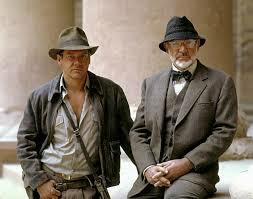 In the film, set largely in 1938, Indiana searches for his father, a Holy Grail scholar, who has been kidnapped by Nazis. After the mixed reaction to Indiana Jones and the Temple of Doom, Spielberg chose to compensate with a film lighter in tone. During the five years between Temple of Doom and Last Crusade, he and executive producer Lucas reviewed several scripts before accepting Jeffrey Boam‘s. Filming locations included Spain, Italy, England, Turkey and Jordan. The film was released in North America on May 24, 1989 to mostly positive reviews. It was a financial success, earning $474,171,806 at the worldwide box office totals. It won an Academy Award for Best Sound Editing. 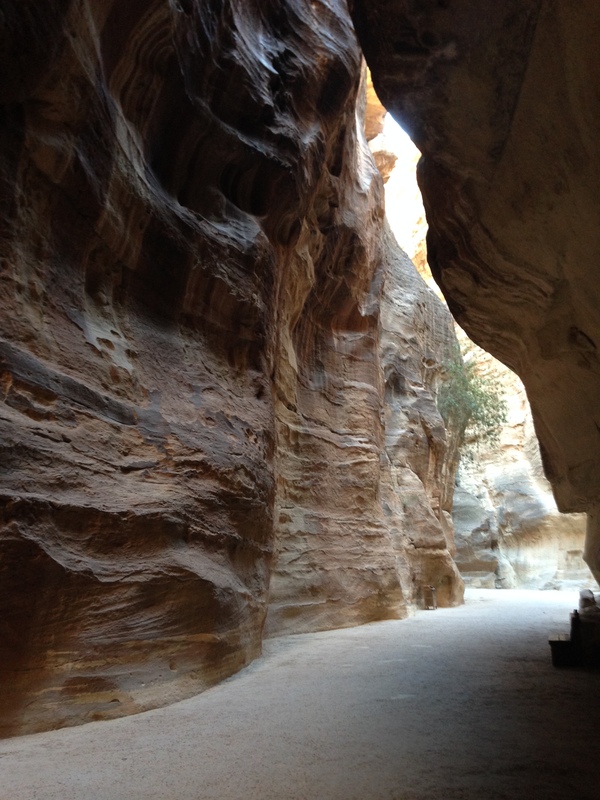 Petra’s use for the movie’s climatic scenes greatly contributed to its popularity as an international tourist destination. Before it only a few thousand visitors per year made the trip; since then it has grown to almost a million annually. Shops and hotels near the site play up the connection, and it is mentioned prominently in itineraries of locations used in the film series. Jordan’s tourism board mentions the connection on its website. In 2012 the satirical news site Pan-Arabia Enquirer ran a mock story claiming that the board had officially renamed Petra “That Place from Indiana Jones” to reflect how the world more commonly refers to it. I am now at the same point as Indiana Jones. New7Wonders of the World (2000-2007) was an initiative started in 2000 as a Millennium project to choose Wonders of the World from a selection of 200 existing monuments. The popularity poll was led by Canadian-Swiss Bernard Weber and organized by the New7Wonders Foundation based in Zurich, Switzerland, with winners announced on 7 July 2007 in Lisbon.. The New 7 Wonders campaigns aim to contribute to the process of uplifting the well being and mutual respect of citizens around the world, through encouraging interaction, expression opinion and direct participation by voting and polling on popular global issues which are understandable to everyone. There is no comparison between Mr. Weber’s mediatised campaign and the scientific and educational work resulting from the inscription of sites on UNESCO’s World Heritage List. The list of the 8 New Wonders of the World will be the result of a private undertaking, reflecting only the opinions of those with access to the Internet and not the entire world. This initiative cannot, in any significant and sustainable manner, contribute to the preservation of sites elected by this public. I was back at the hotel at 8:15pm after a long day in Petra. The lunch in Petra was very nice, a Jordanian dish which consisted of rice and meat with tomatoes. Restaurants were serving Turkish coffee but what I drank bore no relationship at all to the Turkish coffee you get in Turkey. Shaban, a former banker and new entrepreneur, took me from the hotel to meet with a successful Jordanian entrepreneur, Dr. Abdul, who was the former CEO of Jordan Telecom. Now, he runs an acceleration center, where he has invested in 20 start-ups. 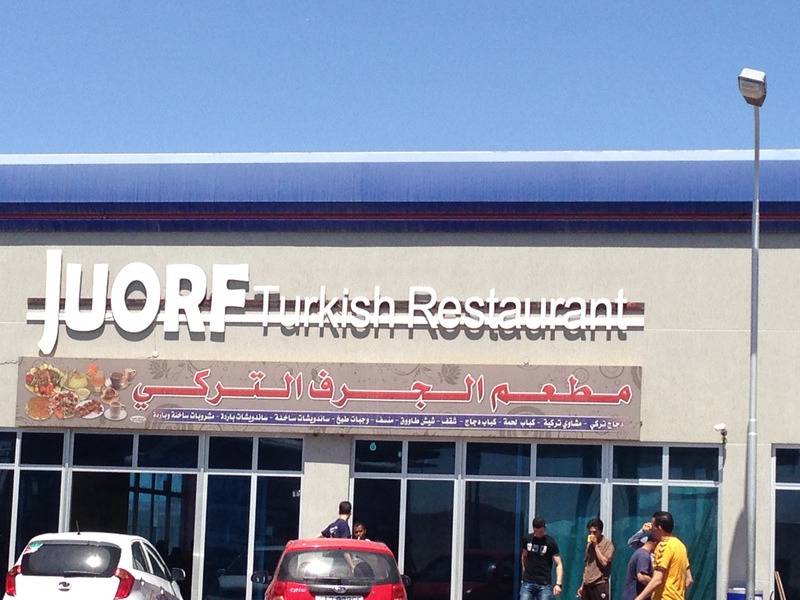 The restaurant where he invited for dinner was a recently-opened Armenian restaurant and the food was exquisite. Because the restaurant was just behind the Royal Hotel, we walked instead of going by car. We all talked all evening about how to foster the angel investment ecosystem in Jordan and the MENA region. It was a highly beneficial dinner debate with Dr. Abdul, who really understands details immediately and puts them into action. I invited him to be a speaker of the EBAN Congress in Dublin and share some insights from the region. He accepted the invitation and I am now looking forward to hearing more about the Jordan entrepreneurship ecosystem from him. By the way, you may ask what JBAA stands for. Dr. Abdul will give the answer when he is ready to answer it. It was time to get up. 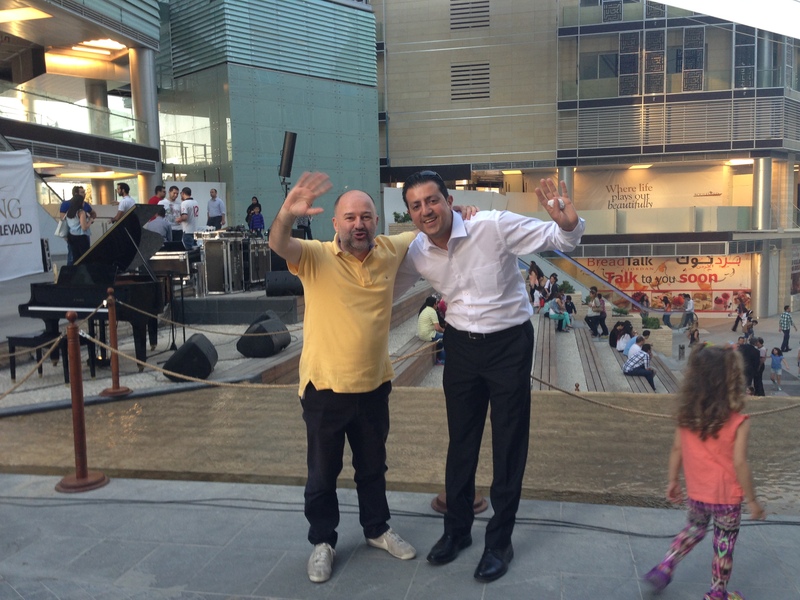 My driver was waiting for me at the lobby and we left the hotel at 4:45am and I was at the Amman airport by 5:15am. My flight to Istanbul was at 7:00pm. 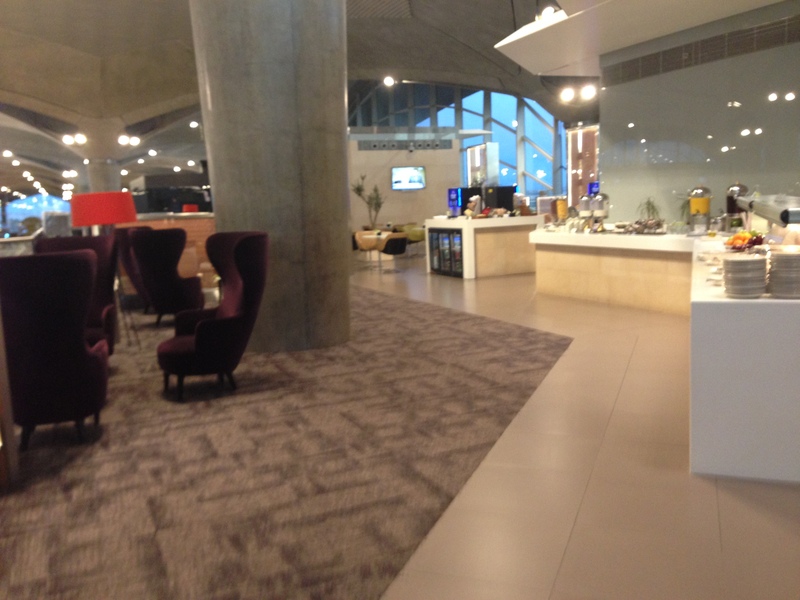 I enjoyed the business class lounge of the Amman airport, one of the lounges I have particularly enjoyed. It’s different. You have to see it for yourself. I bought a perfume for myself because I like that spicy fragrance which you can find only in Arab countries. I’ll remember Jordan when I use it. JEDCO is an important player of the Jordan’s entrepreneurship ecosystem. JEDCO has 5 different grant schemes available under the Reinforce and Expand the Modernisation of the Services Sector in Jordan (JSMP II). The CEO is Yarub Qudah. Congratulations on a successful conference!